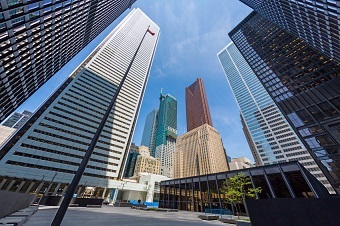 The Canadian government’s top banking regulation agency recently offered a suggestion that would help banks cope with the risks that come along with the seemingly non-stop growth in housing prices and debt. In a statement released on Friday (April 29), the Office of the Superintendent of Financial Institutions (OSFI) proposed banks to hold more capital against mortgages in high-demand metropolitan areas like Toronto and Vancouver to provide protection from overvaluation and other consequences of a housing slump. “These updates will ensure that capital requirements remain prudent in periods where house prices are high relative to household income and/or house prices are increasing rapidly,” the OSFI stated as quoted by the Financial Post. “These updates provide a measured and forward-looking response to the changing risks occurring in the Canadian mortgage market,” the OSFI added. The agency said that these regulatory revisions—which include a so-called “risk-sensitive floor” that would adapt to changes in property values—would be effective November, with a duration allotted for public comment prior to implementation. The amendments would apply to the country’s largest financial institutions like the Royal Bank of Canada, National Bank of Canada, HSBC Canada, Bank of Montreal, Bank of Nova Scotia, Canadian Imperial Bank of Commerce, and Toronto-Dominion Bank. The effects of these developments on the temperature of the inflamed housing market remain uncertain. Moody’s Investors Service assistant vice president (financial institutions group) Jason Mercer said that the affected banks would have to implement higher capital for mortgages in 11 cities where signs of overvaluation have emerged. “[The revisions] will increase the bank’s funding costs for mortgages which they could then pass along to customers, but it’s difficult to say how that would happen at this point,” Mercer noted.